Syllabus of the Online Course (Subject): Economic Cooperation Organisation (ECO). Introduction to the Economic Cooperation Organisation (ECO): Afghanistan, Azerbaijan, Iran, Kazakhstan, the Kyrgyz Republic, Pakistan, Tajikistan, Turkey, Turkmenistan, and Uzbekistan. 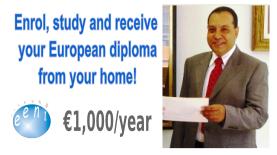 Description of the Online Course: Economic Cooperation Organisation (ECO). In 1955, Iran, Pakistan, and Turkey founded the Economic Cooperation Organisation (ECO). 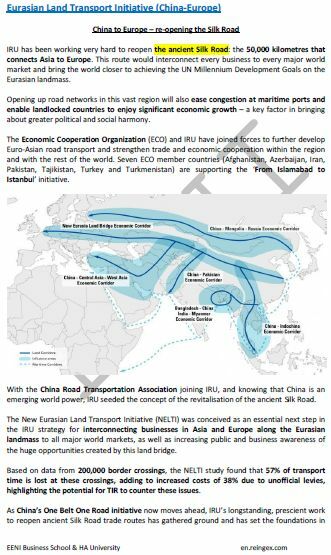 The objective of the Economic Cooperation Organisation (ECO) is to promote economic, regional trade, technical, and cultural cooperation among the member economies: the Islamic State of Afghanistan, Azerbaijan, the Islamic Republic of Iran, the Republic of Kazakhstan, Kyrgyz Republic, the Islamic Republic of Pakistan, the Republic of Tajikistan, the Republic of Turkey, Turkmenistan, and the Republic of Uzbekistan. The Economic Cooperation Organisation (ECO) is, therefore, a predominantly Muslim economic organisation. The Economic Cooperation Organisation (ECO) region is geographically immense and well gifted with potential economic resources (agriculture, arable land, energy, mining, and human resources). Total trade share of the countries of the Economic Cooperation Organisation (ECO) in the global trade: 2%. Intra-export ratio in the region reached 6%. 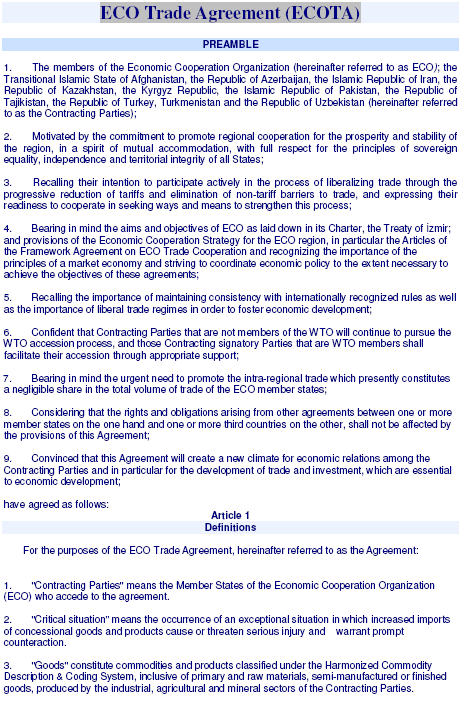 The ECO (Economic Cooperation Organisation) economies are implementing reforms to create favourable conditions for foreign direct investment attracting: legislation optimisation related to foreign direct investment, privatisation of state-owned companies, and foreign direct investment flows liberalisation. The Economic Cooperation Organisation (ECO) belongs to Central Eurasian Economic Area (Islamic Civilisation). The ECO Chamber of Commerce and Industry was created in 1990 by the Union of Chambers and Commodity Exchanges of Turkey, Iran Chamber of Commerce, Industries and Mines, and Federation of Pakistan Chambers of Commerce and Industry. 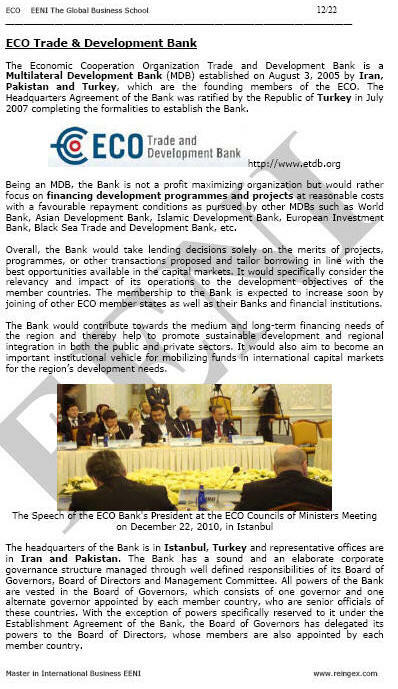 The Economic Cooperation Organisation Trade and Development Bank is a multilateral development Bank established in 2005 by Iran, Pakistan, and Turkey.